Twelve years ago I purchased my first full suspension mountain bike, a Kona Dawg Dee-Lux. 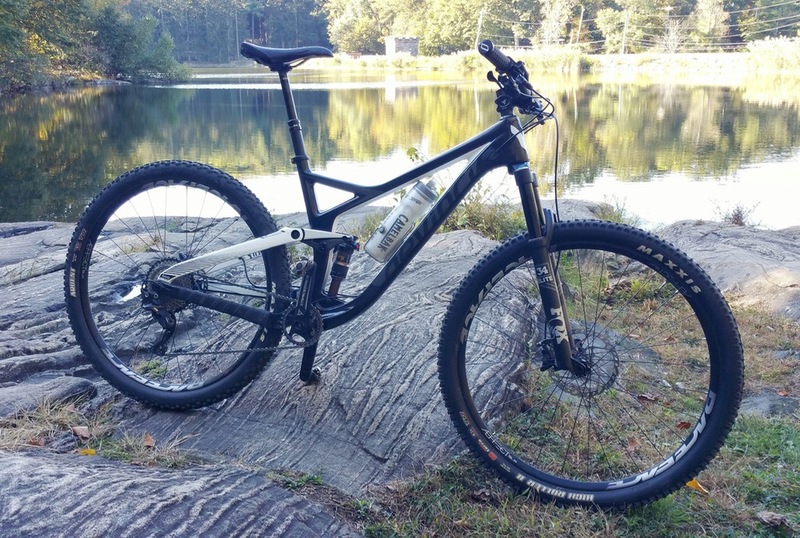 It was a trail bike with 130mm of travel front and rear. Over the years, I replaced several parts, some multiple times, including three wheelsets and I rebuilt two rear shocks and the front fork. That bike owed me nothing. This fall I finally got a new ride, a Devinci Django 29. It has a carbon frame, SLX/XT buildkit in a 1×11. I read great things about the bike and was able to test ride it in both a medium and large frame size. Other than the super wide (800 mm) handle bars, I felt comfortable on the large from the start. The suspension offers superb pedaling efficiency, yet has great small bump sensitivity and can still handle big hits. After a few rides, I’m already starting to get used to the longer wheel base and larger wheels of a 29’er, riding pretty confidently on my new steed. JasonWx and I had been exchanging replies in NYSkiForum for years and despite living only about 7 miles apart as the crow flies across the Hudson, we had never met. He’s been offering to show me the trails on the west side of the river for some time, so I finally decided to take him up on his latest offer in the “Today’s Ride” thread. 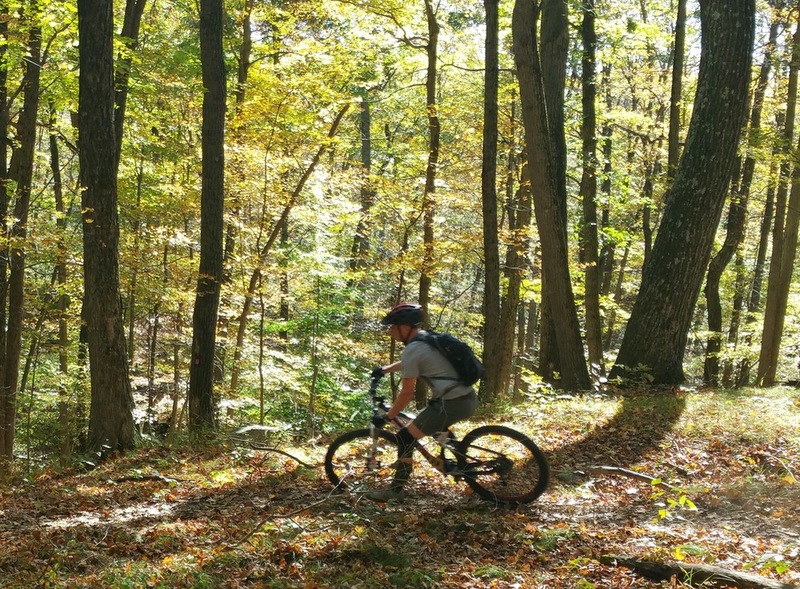 He suggested the new trails in Sterling Forest State Park, just a few miles south of the closed eponymous ski area. The mountain biking trails didn’t seem to have any really long, extended climbs, but there are plenty of hills. The trail right out of the parking lot is a rocky, techy climb, which warms you up quickly. Single track is interspersed off of old double track woods roads. As a result, there is a decent mix of some fast and flowy sections along with some rocky, technical trails. Jason is a strong, solid rider and our abilities and styles meshed well. 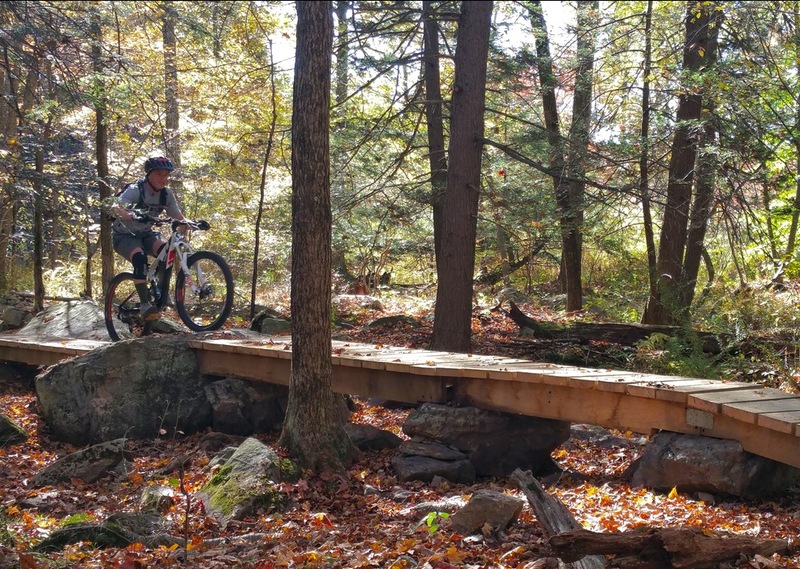 The Sterling Forest trails are rocky, technical and fun and reminded me of nearby Ringwood State Park which is no surprise as it is just a few miles down the road, over the New Jersey border. I haven’t been to Ringwood in quite some time and now, after enjoying the Sterling Forest trails so much, I need to get back there soon. I look forward to riding Sterling Forest again, especially when they finish building more single track, which is in progress. My new bike handled the trails with the precision of a hot knife through butter. Absorbing bumps while keeping the tires on the ground and providing great traction. I’m looking forward to many years of great trail rides. Mountain biking is fun, thrilling and great exercise for the mind and body, both mentally and physically refreshing. It forces you to stay in the moment and if you don’t, there can be consequences. As a result, I find it clears and completely refreshes the mind and body better than almost any physical activity… except skiing of course. Looks like a nice ride – i’ll have to check this out. I actually learned to ski at Sterling Forest back in late 80s, my dad was on ski patrol there when he was a teenager. That looks like some nice terrain on that map and in those shots. 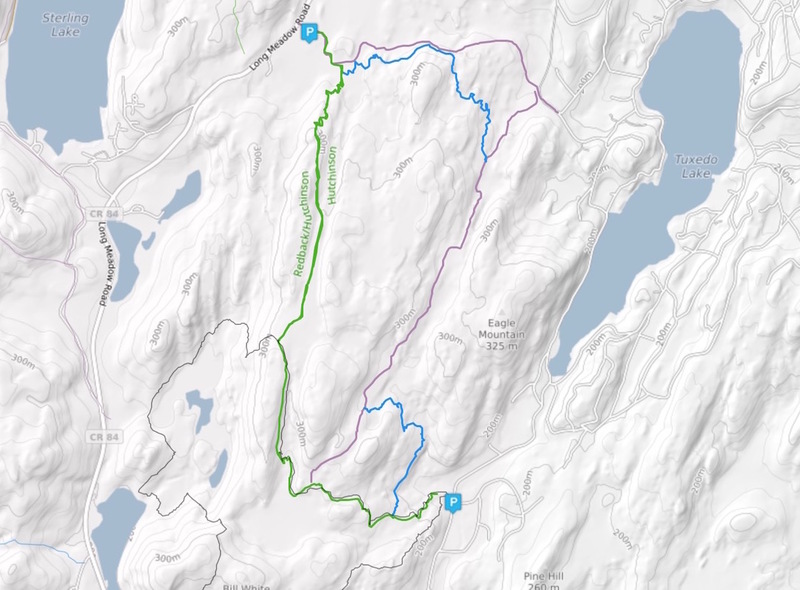 My MTB lives in the Adirondacks, but I’d like to find a way to check those trails out. Marc is a climbing beast. We had a great time and look forward to him showing me around some of the great riding in Westchester.. I love the “adventure in your backyard” aspect of this. It shows how much outdoorsy fun there is to be found in the metro area.